The Serpent House is a historical time fantasy, set in the Victorian era and the Dark Ages – scary but exciting (I hope)! It came from three different ideas. In the village where I live, near Berwick upon Tweed, there really was a leper hospital in medieval times, and I because so little is known about it I always wanted to write something about that. I was also inspired by family stories about my three great-aunts, all of whom worked in service in large houses in Newcastle and Cumbria. They had very tough lives. And because I suffered from alopecia as a child, I wanted to explore that too. I wove the story strands together using time-travel. Funnily enough, I’m a complete pantser when it comes to writing. If I plan ahead, I don’t enjoy the writing process so much. It’s odd, though, because in all other areas of my life I plan everything down to the last minute detail, to the point of being a bit obsessive. There’s a scene where the leper hospital catches fire. I realised as I was writing that something awful was going to happen in this scene and it did upset me (and one or two people who read it!). But writers will know that sometimes, you lose control of what happens to your characters – strange as that may sound. Just three days after a major setback with an agent, the novel was accepted for publication by Curious Fox. They’d had the manuscript for so long I’d forgotten I’d sent it to them, so the offer came out of the blue. And because I was so low about being turned down by the agent, it couldn’t have come at a better time. I think it taught me that the publishing journey is something of a rollercoaster – and you need a strong stomach! This is from quite near the end: ‘Maybe it was just time for things to grow again’. It will make sense if you read the book! I think Hilary Mantel is one of our most wonderful writers and I am in awe of her work. I’d love to ask her about recreating the past in a way that is so entertaining that it never feels like ‘teaching’. Hmm. I’m afraid I can’t answer this one. I’d like to think if you took one set of words away from me, I’m creative enough to find another way of saying the same thing. 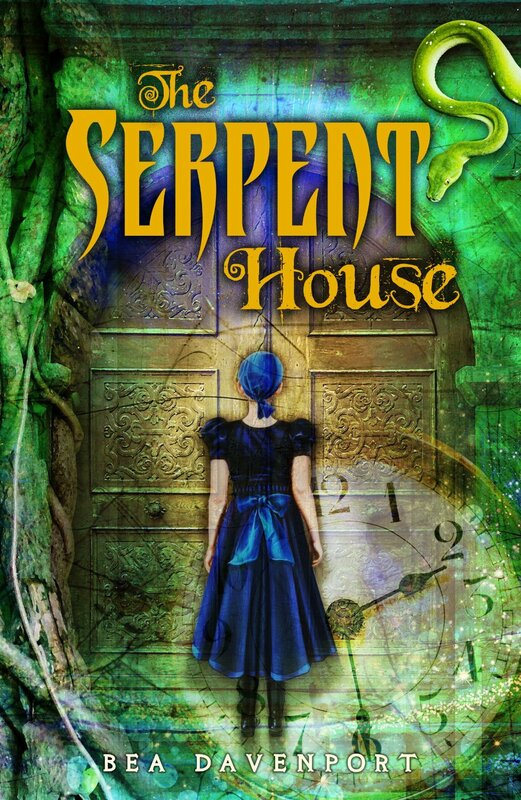 I’m hoping to write a sequel for The Serpent House in which Annie finds herself in a different, but even more dangerous, period of the past. I’m also redrafting a contemporary book for older teenagers, with the working title Halloween. It’s very, very loosely based on something that happened to me when I was younger and it’s about a Halloween prank that goes horribly wrong – and all the consequences of it. I asked the wonderful Jackie Kay is if was okay to start off a novel without any idea how it was going to end, and she said it definitely was. She then told me that if I did have an ending in mind, to ‘hold it lightly’ – in other words, to be prepared to change. I have always followed that advice!